We love creating solutions that have a positive impact on people’s lives. Through the application of technology and design, we challenge convention to build simple, novel and useful things. Some things you should definitely know about us: we’re originally from a handful of countries, but have mostly settled down in the Midwest. We have a professionally certified diving instructor on staff. We took zombie cartography viral, and got the t-shirt. We have an astronaut suit, if you’re into that kind of thing. We really enjoy a good LP and a good beer. We nerd out over new technology and contribute to open source often. We’ve also placed several geocaches around the neighborhood and studio if you’d like to try your treasure hunting skills. We handle frontend, backend and everything in-between. Whether you’re launching a new startup, or bringing innovation to your company, we provide solutions in Ruby on Rails, Node.js, Angular and more to bring your ideas to market quickly. As one of the few featured WordPress.com VIP partners in the world, we build enterprise solutions for today’s largest publishers. You get a highly customizable platform from one of the most popular and trusted content management systems, backed by VIP cloud hosting and support. Design is more than how your product looks; it’s about meeting your business objectives while giving your users a frictionless, memorable experience. We’ll create something that looks and works great and then analyze key metrics to ensure it’s meeting your goals. We’ve been designing and building for mobile since the first iPhone. Whether it’s a native app experience for iOS and Android or a responsive website that looks and functions great on all devices, we have your mobile needs covered. For years, we have guided brand strategy for companies defining themselves for the first time as well as established brands seeking to refresh or realign their image. We develop brand systems that represent your company and resonate with your customers. We love creating videos that inspire, educate, motivate, and drive sales. Our video and motion graphics studio is skilled in shooting in any environment and has made hundreds of commercials, documentaries, interviews, explainers, and case studies. 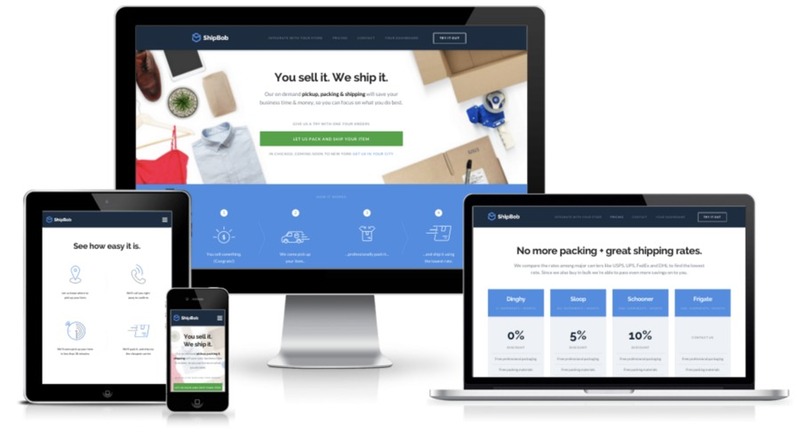 Doejo recently had the pleasure of working with Y Combinator backed startup ShipBob to develop a better marketing website, designed to attract and convert visitors into customers. ShipBob offers on-demand pickup, packing & shipping to save businesses time and money. With integrations for eBay, Shopify and Etsy, ShipBob makes sense for online sellers big and small. Anyways, we’re really happy with the project and they love what we were able to do for their brand: create a polished, professional-caliber look and feel, with effective messaging, prominent calls-to-action and a nice responsive UX.